In part two of his interview with PokerNews, Neil Channing talks about his career switch to poker. Before the game of poker took over his life, Neil Channing was a racecourse bookmaker. In the first part of this series, he’d finally achieved that dream, only to have his career sunk by a change in tax legislation that made the business untenable. From earning a spectacular second income, Channing was losing the lot. Stuck with pitches that were dwindling in value, the situation tested his love of gambling. Channing on the grind at the WSOP. “At Cheltenham, the right to go to the festival once a year and stand in the most prominent place had cost me £40,000," he said. "A couple of years later, that changed hands for around £18,000. I’d done this all around the country, so l lost hundreds of thousands. Channing and his team went to Goodwood for what would turn out to be a pivotal race meeting. Channing's time booking at the race track was over. But, despite the troubles that ended his time there, he has few regrets about going into the business. “I was pleased with the on-course bookmaking, because I didn’t want to get old and say, ‘I never tried that,'" he said. "I’ve regrets about it, but generally speaking, it was a fun time and I enjoyed it, even though, ultimately it was very expensive experience." "It’s a mental game and a reason you’re losing a session can often be because your mind's not in it." Channing had a range of transferrable skills that he realized he could adapt to poker. For example, bankroll management. Channing believes in pressing when things are going well and taking a step back during a bad run. "It’s a mental game and a reason you’re losing a session can often be because your mind's not in it," he said. "Maybe you’ve had a bad day or logged on in a bad mood. "With all kinds of betting, including sports betting, it’s quite similar. If you’re not focusing, or making a few marginal decisions you’re not quite getting right, your brain isn’t into it. You’re not quite tuned in." 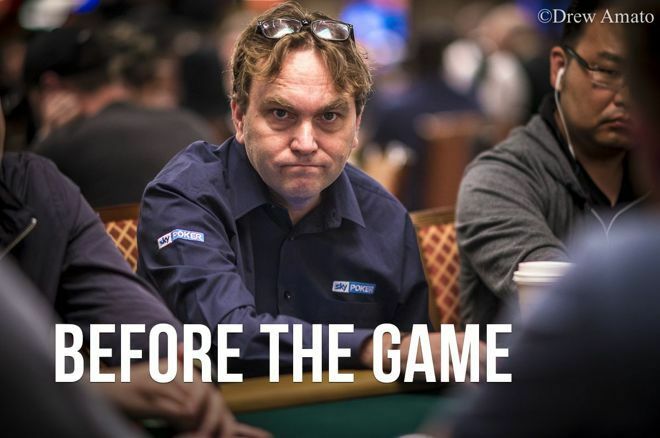 The early 2000s were the age of "Late Night Poker," lipstick cameras, and Chris Moneymaker winning the World Series of Poker Main Event in a post-Rounders poker boom. There was plenty of money to be made. Channing had cut his teeth in poker at Grosvenor Victoria Casino around 2001. There, he encountered some "brilliant pot-limit Omaha players" and people who barely understood how to use two cards. With his business cooked, Channing figured it was time to put in some work at the tables. So, he did, and he clocked a lot of hours. In fact, he never seemed to take a day off. He has the same reputation in Britain to this day. He can’t stop. “I suppose I’m a workaholic," he said. "You don’t get too many lifetimes, do you? The ultimate conundrum of life is that you don’t know when you’re going to die. An old Steven Wright joke is someone saying, ‘Have you got any spare change, mate?’ and his reply is ‘How would I know? I’ve not lived the rest of my life yet.’"
"When it came to 2006, I had a choice of 20 tables and people were throwing their money away." Channing was making hay while the sun shined. Poker was the biggest game on the planet. That was a stark contrast to the early years of his poker career, when he'd go into "The Vic" as he called it and ask several times per week whether a hold'em game was going to run. Many times, he was told no, but he kept coming back to look for action. 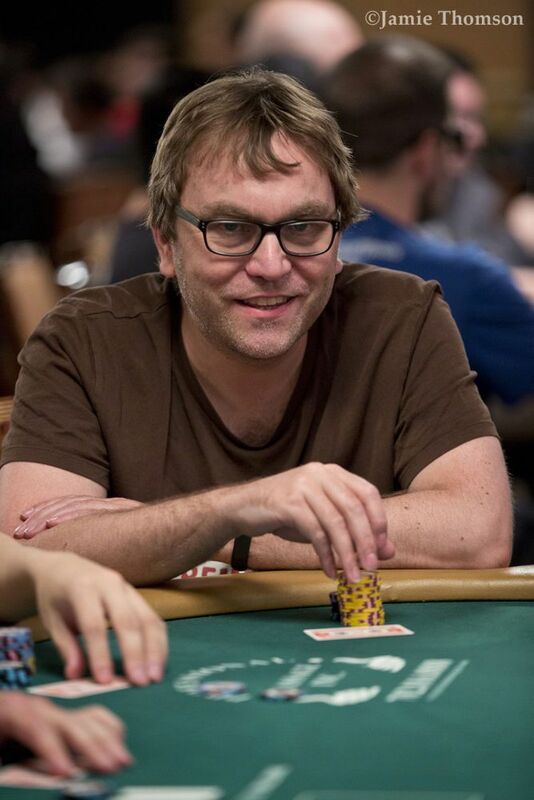 Channing’s dedication paid off at the WSOP in the form of a pair of runner-up finishes. 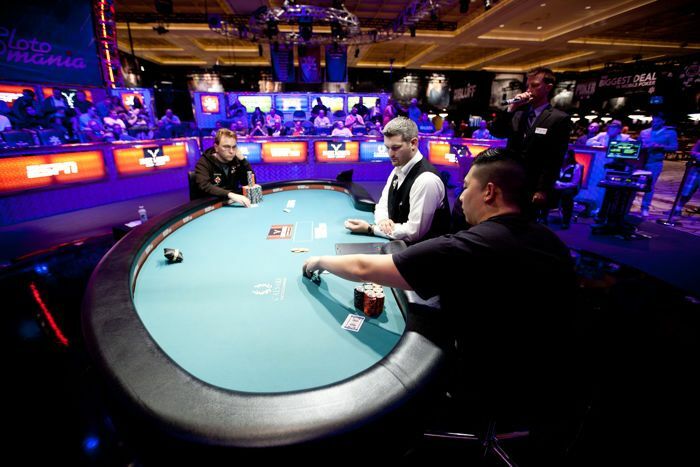 In 2010, he laddered from being sixth out six players into a second-place finish. Channing said he didn't lose any sleep over that one, happy to have laddered to where he got. When it comes to the name Henry Lu in 2012, though, Channing pauses a second, then remembers. Channing and Lu battled heads up in 2012. The two clashed in style and age, Channing belonging to the older generation. "Bad Beat" started with a big lead but couldn't find victory, running big aces into bigger ones twice and failing to get there in the closes he's come to winning a bracelet. Channing worries not, though, as he says the "600-plus" bracelet events per year mean he's got plenty of shots left. Channing’s attitude feels like the ultimate professional approach to take. It was always a case of "onto the next," whether that was a poker game or another project. Most recently, he joined up with Sky Poker on a contract that calls for him to play online and attend live events as well. "I find I enjoy that," he said. "I play the UKOPS festival every night and I won one recently — you get a bracelet, so I’ve got one — and I go to those once every six weeks. They send me to Vegas every year and that’s enough. With every new venture, Channing goes at it full tilt. And each time he does it, he knows the odds. With that knowledge comes the self-belief to go at things with all he has. “I feel like you’ve got to get the money while you can," he said. "I don’t like to look back and have regrets. I kept going a bit too long at the racecourse bookmaking and with Black Belt Poker, but I can’t say I didn’t give them a good shot. Nobody could say I didn’t try my best. The lack of hours in any one day might be the only regret Channing can really hang a hat on. For 20 years, he’s turned his love of gambling to the pursuit of winning. It’s been a habit he’s taken from the offices of pioneering spread betting firms to British racecourses, and even scaled the heights of the poker world, winning big at the World Series of Poker. The more hours he puts in, the more hours in the sun he’s earned. For Bad Beat, the worst run-out he ever experiences is the lack of time in each day.